Water-based, environmentally-friendly formula removes even the toughest stains and scum line quickly and easily. 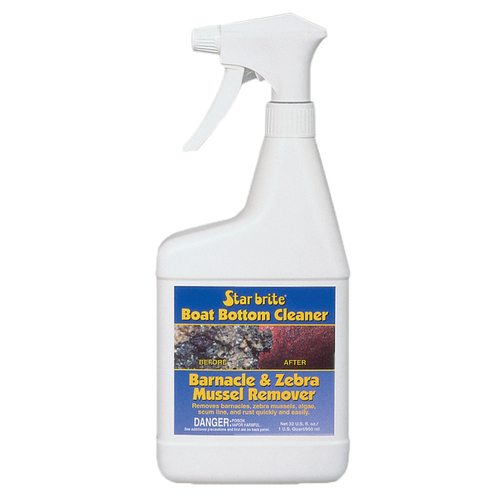 Boat bottom cleaner is an effective method of cleaning stubborn stains and build up of calcium, algae, rust, barnacles, Zebra mussels and other foreign matter. 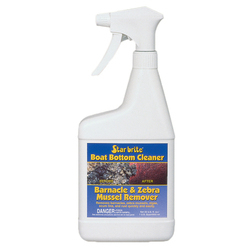 It helps make scraping and cleaning boat bottoms quick and easy. The specially patented buffering process makes this product much safer than competitive acid based bottom cleaners without compromising on cleaning power. This high power cleaner is also environmentally friendly as it is water based and completely biodegradable.